Hey there. Splatoon is finally ready to be released to the masses! Participating in the demo the past few weeks was a blast and seeing the game mechanics first hand has me excited about picking this game up for the Wii U. The game is like a breath of fresh air in an over saturated market of shooters. If you still don't know what I'm talking about, maybe this graphic will help! Will you be picking it up?!?! 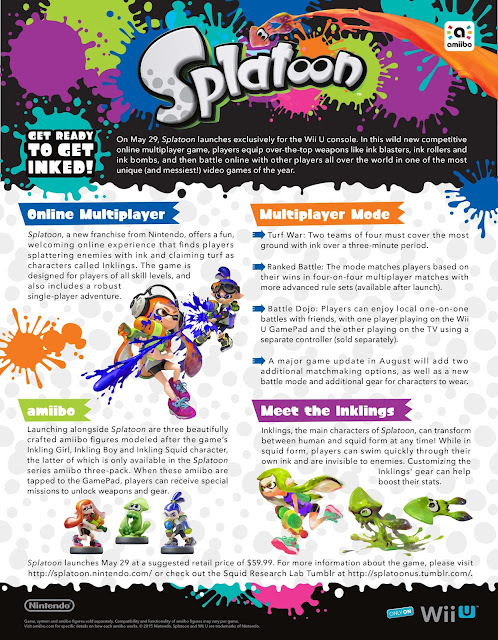 Are you ready to get inked?! See you on the field! Later!